Good Morning Starshiners! Mother Earth Says Hello! GOOD MORNING STARSHINERS! MOTHER EARTH “GAIA” SAYS HELLO! I absolutely love this song and was gently guided this early morning to post this enlightening and awakening song for all beings of all kingdoms to receive from our beloved “Gaia”. 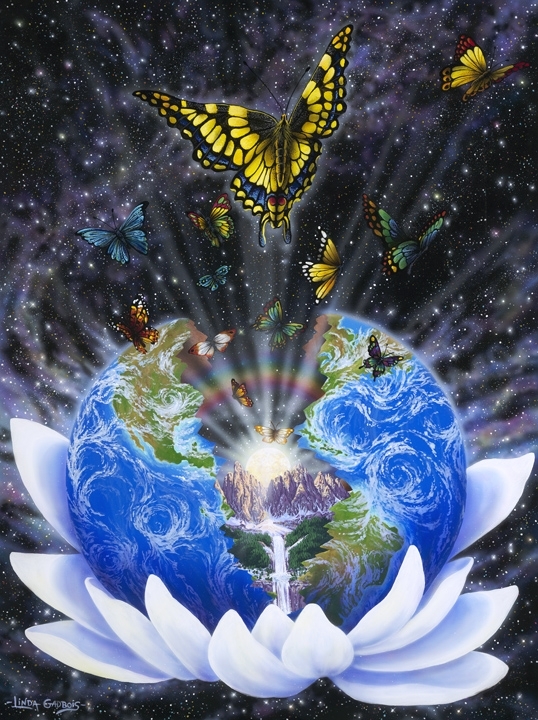 Allow Mother Earth’s effervescence of music and words to overflow your hearts with love, peace, harmony, joy and bliss. You might wonder how I am guided….well, sometimes I awaken in the middle of the night with a song in my head. A song that reflects a spiritual message of our current transformational awakening and ascension processes….releasing our 3D illusionary existence and co-creating our glorius Nova Earth – a luminous 5th dimension existence. And I will share with you these songs remain ever so present until I post them. As an example, another song patiently waiting to be messaged prior to this posting, has been singing in my head literally day and night, and once I post it, you’ll understand why it required further comtemplation…greater depth and complexity at it’s core. Enjoy the beauty of Gaia’s message in the video below and share your experience this wonderful morning Starshiners!! With much love and gratitude….Namaste my friends, Francine! This entry was posted in ascension and tagged 2012, 5th dimension, ascension, awakening, beacon of light, being one with all, consciousness, Gaia, God, harmony, Jesus, joy, lightworker, love, Mother Earth, music, new earth, peace, spirituality, starshiners, universal energy by Francine. Bookmark the permalink.